In 2016, the National Park Service celebrated 100 years of preserving the natural beauty of the country’s national parks. During last year, some set out to visit most, if not all, of these parks. When people think of visiting America’s national parks though, they may not immediately think of Hawaii, but Haleakalā National Park is one of the most unique parks in America’s park system and definitely not one to miss. The enchantment of Haleakalā National Park begins with its unique range of ecosystems and geographic features. “Haleakalā, rising from the sea to a 10,023-foot summit, and exposed to both the windward moist tradewinds and leeward drying air, has a variety of natural ecosystems. Wind, rain, temperature and altitude all play a role in shaping each zone, as well as bringing plants and animals here,” the NPS noted. The variety of different ecosystems you can see in this national park makes it an exceptional place to visit. When you add the experience of biking down the volcano through this national park, you’re sure to have an unforgettable trip. 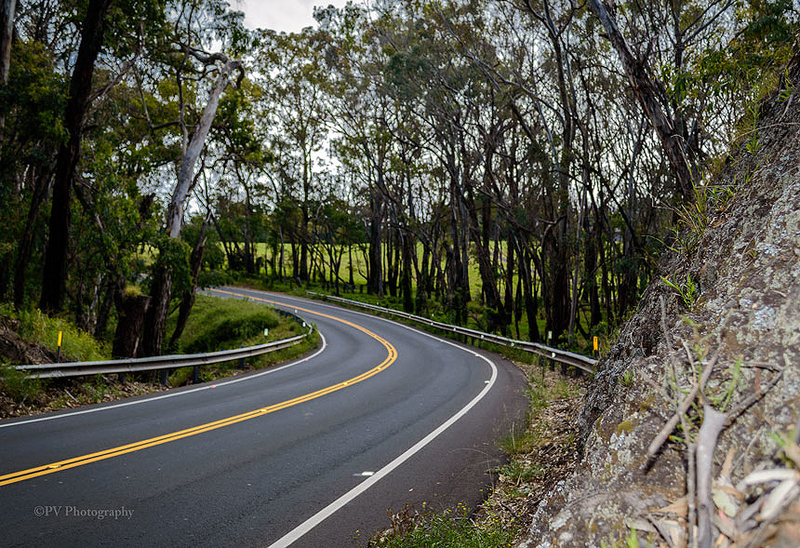 Taking a Haleakalā bike tour down the mountain allows you to be in the scenery, not just see it through a car window. But what unique sights does Haleakalā National Park offer? On our Maui sunrise volcano tour, you’ll be driven up to the summit of Haleakalā to witness the sun rise over the rolling clouds, creating a wondrous display of majestic colors. Then, you can explore the alpine cinder landscape of Haleakalā Crater. This dry aeolian desert is home to a variety of high-elevation ecosystems and rare species. The silversword is one distinctive endemic plant in this volcanic area that’s noted for the silver hairs on its sword-like succulent leaves as well as its low-growing rosette. These rare plants can live up to 90 years, but only bloom once and then die soon thereafter. There are also numerous hiking trails in the summit and wilderness areas of the park that lead off into a world unlike any other. “No place can prepare you for the experiences and feelings you will have on the summit of Haleakalā volcano. The landscape – deeply sculpted, richly colored, and intensely evocative will be unlike any landcape you have known. Visually expansive, the summit area continually eludes any attempt to understand its scale or dimensions,” the NPS wrote. With the Maui bike tour, you’ll experience the diverse landscape of Haleakalā National Park as you bike down to lower elevations into subalpine shrublands, through lush cloud forests, and across rolling green hillsides with sweeping views down to the ocean. In Haleakalā National Park, there are a number of endangered bird species you can look out for on your bike ride down the volcano. The largest known nesting colony of the Hawaiian petrel or ‘ua’u, a migratory seabird, is at the top of Haleakalā, the NPS noted. Other endangered species that call Haleakalā home include Hawaii’s state bird, the nēnē (a Hawaiian goose) and Hawaiian honeycreepers. The diversity of the Haleakalā National Park landscape is fascinating. At the top of Haleakalā, you have a cinder cone desert landscape and then on the windward slopes in the Kīpahulu area, you’ll be engulfed in a tropical rainforest. In this area, the weather is nearly always hot and humid. Here, you can hike through numerous rainforest trails and see gorgeous waterfalls and breathtaking ocean views. The famous Ohe’o Gulch (Seven Sacred Pools) are in this area of the park. Your admission ticket to the Haleakalā National Park on your Maui sunrise bike tour will also allow you entrance to the Kīpahulu area as well. And as with most national parks, there are campgrounds and cabins available in several areas of Haleakalā National Park for those who want the full outdoor experience. The designated camping areas do require a permit, and the cabins require a reservation. With its volcanic crater and awe-inspiring sunrises at the summit, peaceful sweeping views across miles of lush rolling hills in Upcountry, and vibrant tropical vegetation in the rainforests of Kīpahulu, Haleakalā National Park holds a world of adventure and charm. After your self-paced Haleakalā sunrise bike tour, plan to spend several days exploring all the wonders that this captivating national park offers.